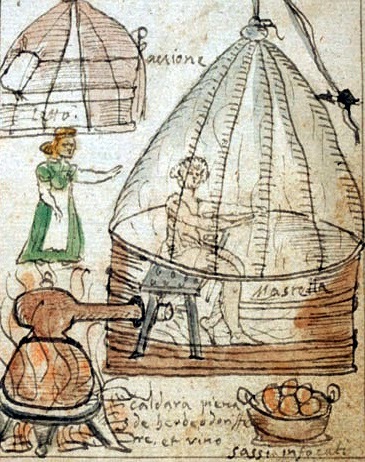 In the seventeenth century, One of Antonio Neri’s manuscripts, entitled Tesoro del Mondo (Treasure of the World) depicts three women running chemical equipment. It is possible that these were nuns, trained in the same Church sponsored educational system that produced Neri. Convents were often expected to be self-sufficient and many ran their own pharmacies. 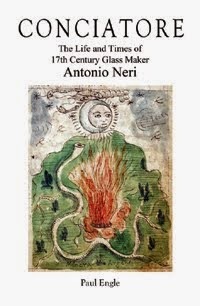 Neri had sisters as well as brothers and at least one sister entered a convent located on the north side of Florence, near the laboratory where Antonio practiced alchemy and made glass. The fact that specific names have not been associated with Neri’s three female co-workers should not deter us from celebrating their contribution to the birth of early modern science. 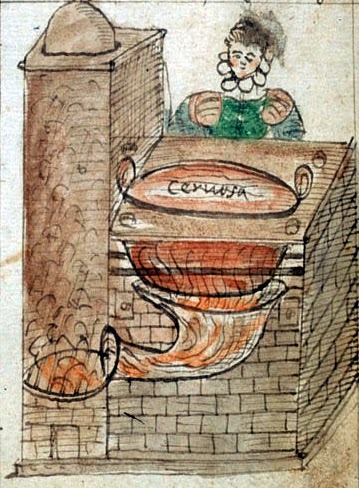 Within a year of his ordination in the Catholic Church, Antonio Neri began an ambitious treatise, illustrated in his own hand, devoted to "all of alchemy." Six of the illustrations in this manuscript, completed in 1600, show women tending equipment. 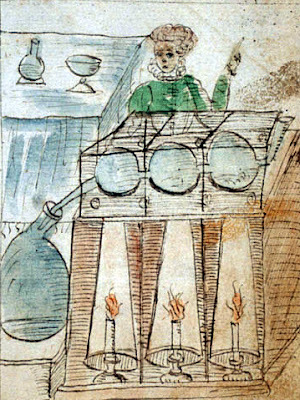 It is not remarkable that some alchemists of the 16th century were women, what is remarkable is to find them in the historical record. Direct depiction of female participation in alchemy is otherwise extremely rare. The circumstances in these images present other possibilities to Antonio Neri's work environment. One is that the scenes take place at the Neri household on Borgo Pinti in Florence. Antonio's father was the personal physician to Ferdinando de' Medici, the grand duke of Tuscany. He was also the head of the college of physicians, and presumably ran a thriving private practice. The women may be Neri's siblings or other family members.